The recessed niches found in nearly all ancient Egyptian tombs were meant to take the spirits of the dead to and from the afterworld. 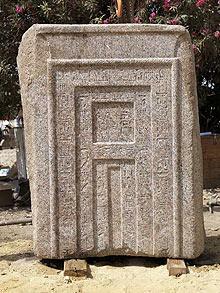 The nearly six-foot- tall (1.75 meters) slab of pink granite was covered with religious texts. The door came from the tomb of User, the chief minister of Queen Hatshepsut, a powerful, 15th century BC queen from the New Kingdom with a famous mortuary temple near Luxor in southern Egypt. Next PostNext When did the first settlers come to Iceland?